The first Easilang book, “Life in England” is made up of a series of short stories inspired by incidents drawn from real life. 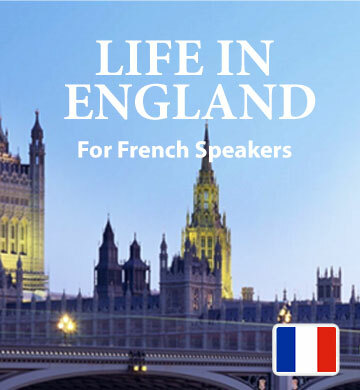 After French speakers download this book and audio track, they will find themselves learning and memorising a substantial English vocabulary without strain. Each story introduces new words in a gentle way, while entertaining the reader with recognisable everyday situations. You’ll get the chance to hear English being used naturally so that you can gain an instinctive understanding of grammar and pronunciation. To help you keep learning even when you’re travelling, we’ve included the simple to use Easilang mobile app, which you can enjoy with your smartphone or tablet.